If you are considering backpacking for the first or fiftieth time, you are probably casting your mind towards Southeast Asia. This is one of the classic, iconic areas of the world to explore on the go, with only a backpack for company, and as such, there are countless sights to check out and enjoy, as well as many experiences you probably won’t get anywhere else in the world. There is a very good reason that this is one of the most popular areas of the world to head to, and a simple Google search will tell you why! The classic Southeast Asia backpacking route? Well, it doesn’t really exist as such, because there are countless deviations and directions you can possibly take, which means this region is totally customisable! There are many Southeast Asia backpacking itineraries if you look around on the Internet, but the best Southeast Asia backpacking routes are probably those which you personalise yourself, and throw in the things you want to see yourself – everyone’s tastes are different! To help you out in your planning, and to give you food for thought, here are a few ideas of things you need to think about, when to go, and the kinds of places you should be thinking about hitting on your upcoming backpacking adventure. Backpacking Southeast Asia during rainy season is actually perfectly do-able, because although there is the chance of a rain, in fact a very high chance, the temperatures are lower, which can be better for many people. You do need to bring humidity into the equation however. The best times to visit the region are between January to March, and again during June to September. This is when the rainfall is as its lowest, however temperatures are higher. If you’re going to Malaysia, it’s generally hot no matter what month of the year, and humid too, and it’s worth noting that if you’re going off the beaten track, perhaps into Borneo, then the monsoon season can extend another month, into February. The Southeast Asia backpacking cost really depends on where you go, because certain countries are more expensive than others, and it also depends on how long you’re going for. In the main, Northern Thailand is cheaper than the south, because of the touristic cost of things nearer to the beach resorts; on the other hand, Singapore is the most expensive country of them all, by far. In the middle we have Laos, Vietnam, Cambodia, Malaysia, Indonesia, and the Philippines. Myanmar is slightly more expensive than these countries, but only marginally. You should factor all of this in when planning your route and the countries you’re thinking of going to. A trip in Southeast Asia which lasts for two weeks is probably best concentrated in one country, with perhaps the odd ‘trip’ into another. This is because we are talking about a huge land mass area here, and if you want to really explore somewhere, rather than just pop in and visit for a short time, this is the best way to go. In that case, Thailand is the best bet, however you could briefly cross the border into Cambodia if you really wanted to. The North of Thailand is the best place to head for a cheap and dramatic trip, possibly ending up in the south for a few days on the beach. Vietnam is a good place to visit as a Southeast Asia itinerary 2 weeks duration, because it is very do-able during that time. 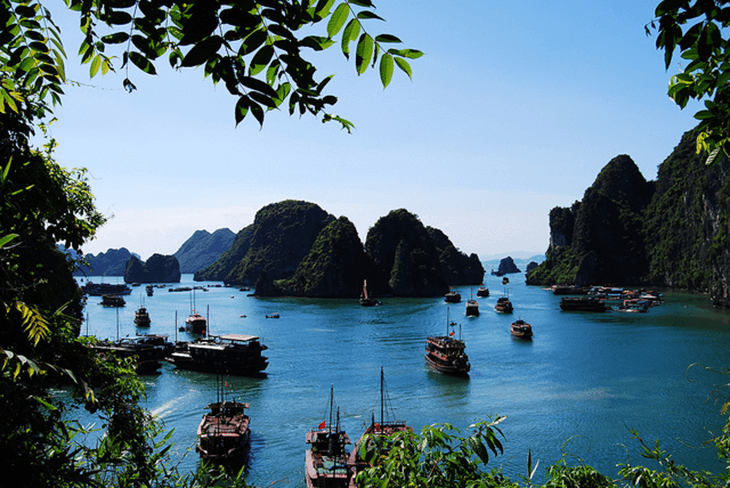 You can head along the Mekong Delta and check out true Vietnamese life, or you could head to Halong Bay, to name just a couple of destinations on your Southeast Asia itinerary. Southeast Asia backpacking route 1 month duration does give you more room for manoeuvre, however a couple of countries is probably the best bet here. Laos is very large and not so easy to travel through, so if you want to really explore it totally, perhaps wait until you have more time. 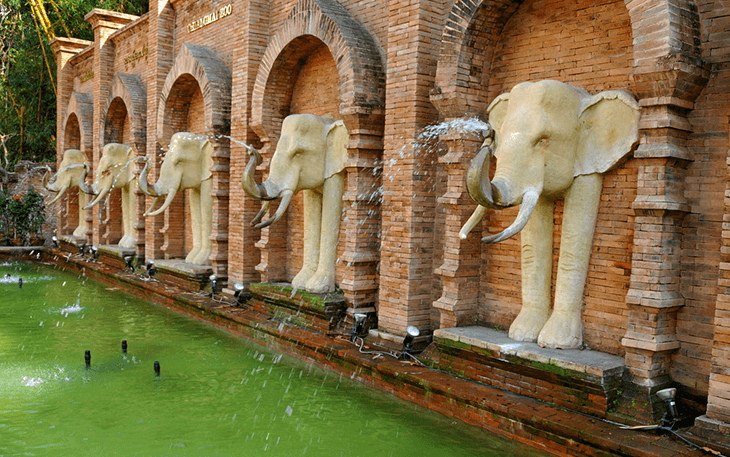 There are a couple more options for a month long trip, namely Thailand and Cambodia, or perhaps Vietnam and Cambodia – these are both two easily combinable countries to explore. If you go for the first option you would probably begin in Bangkok﻿﻿ and then head to the northern portion of the country, perhaps to Chiang Mai and Pai. 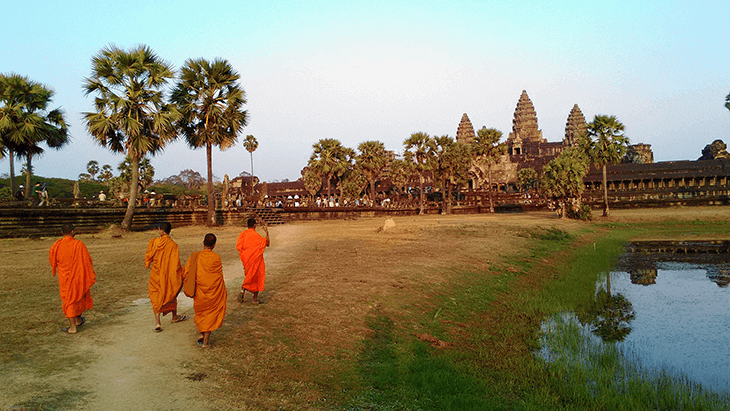 From there you could head over to Cambodia and visit the legendary Angkor Wat, before venturing back over to Thailand and exploring the south. If you go for the second option, you would generally begin in northern Vietnam and slowly edge southwards, heading into Cambodia and visiting the sites and amazing beaches along the way. You could go in the opposite direction too, it’s up to you and where you want to begin in terms of the cost of getting there. The best Southeast Asia route for backpackers will generally take around two months or more, because this covers most of the can’t miss places in Southeast Asia overall. This duration also gives you the time to design your own trip and really explore the places that interest you. The Banana Pancake Trail is well known amongst backpackers, and this covers Thailand, Laos, Cambodia, and also Vietnam. These countries are very easily explored during this time. 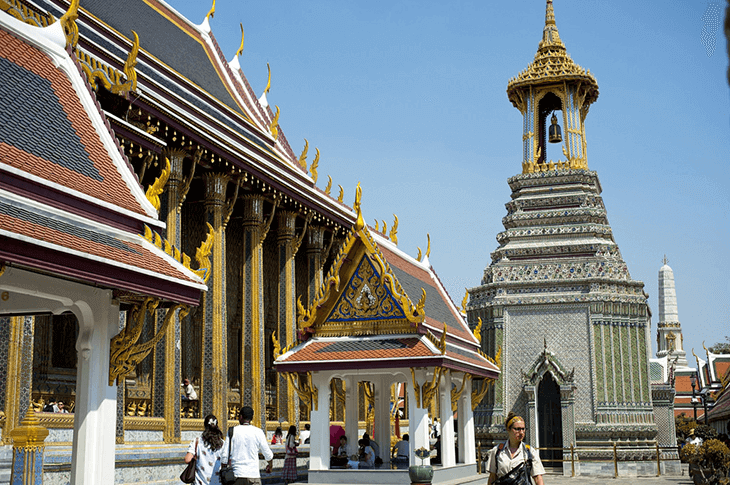 Bangkok is the best starting point here, and from there you can head north, cross into Laos, venture down to Vietnam, and then head into Cambodia, before returning back to Thailand to finish your trip in the south of the country, or on one of the islands. It’s quite easy to extend your trip if you want to, and that means you can head into many other Southeast Asia backpacking destinations, and truly immerse yourself in Southeast Asia culture as much as you want to. Obviously, continuing your journey is going to mean more cash, but if you can perhaps work on the go or do some serious saving beforehand, this is possible. The options are quite endless, but a few suggestions are to head outwards rather than down or upwards; this means Malaysia could be on your radar, the mysterious and somewhat unexplored land of Myanmar, or even Indonesia, with Singapore also being an option. It’s worth noting again that Singapore is the most expensive of all the Southeast Asian countries, so do bear this in mind, and if you do want to visit and you’re on a budget, consider making it a short drop in. If you want to head somewhere totally different on the backpacking trail, the Philippines aren’t as commonly explored, so this could give you kudos amongst travellers! The great thing about backpacking is the freedom it brings, so really, your itinerary is anything you want it to be! A journey this huge, no matter how long you’re planning on going for really needs to be planned, and you need to take advice and tips from those who have done it, and those who are in the know. There are many Southeast Asia backpacking tips online for you to check out, and if you’re Southeast Asia backpacking alone, you also need to think about safety as well, such as checking in regularly with someone at home, and being careful about who you trust, not going out at night alone, and not flashing your valuables – many of these tips also apply to travelling in groups however! These are a few tips to see you through. Pack carefully and lightly – Remember that it is called ‘backpacking’ for a reason, i.e. you aren’t taking a huge suitcase! For that reason, you need to be careful about what you take and you should be extremely ruthless when packing. Check online for tips on the type of backpack to take, because these vary depending on the type of trip you’re taking, and where you’re going. Backpacking Southeast Asia necessities basically come down to literal basics, and layering will become your friend! 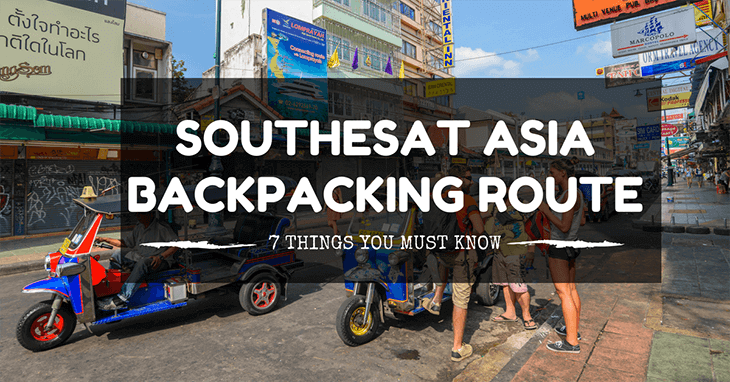 Don’t forget the red tape – Your Southeast Asia backpacking checklist should certainly include the more serious side of things, not just the backpack you’re taking. This includes insurance (you will need to purchase special backpacker insurance), passport validity, and also checking out whether you are able to cross borders from the locations you’re looking at. Some borders are for locals only, so do check this out carefully when planning your trip. Speaking of planning … - Southeast Asia is huge, and you need to do your planning carefully, otherwise you risk making a huge mistake. Research what there is to see and do, and narrow it down to the things you really want to see. You aren’t going to see everything, so make peace with this fact! Trying to pack too much into the time you’re travelling is going to mean that you aren’t really seeing or exploring anything, you’re just visiting, and that’s not the point of travelling at all. Remember to have days off – You might think that this is going to be one long holiday, but travelling is tiring. For that reason, give yourself a little time off between trips, to recharge your batteries and keep yourself feeling fresh. Ironically, this will also keep the travelling bug well and truly alive within your mind! Look at costs carefully – When you do your planning, you need to research costs very carefully, because this will give you important information on whether you have the funds to actually complete the trip or not. There are options for travelling whilst you go, such as working online/freelancing for instance, and this is something which many backpackers do – check out some digital nomad groups on social media to see what might be available for you to do whilst you’re on the move. If you don’t want to work whilst you’re travelling, you will need to save up and budget the cash you have, as well as figuring out how you’re going to carry your cash securely and safely. Safety matters – Finally, we need to give a nod towards safety. You are in a foreign land which has many differences to where you hail from, and this means you are vulnerable as a traveler. Do not trust anyone simply because they seem friendly, don’t head out at night on your own, if something feels ‘off, it probably is, and you should trust your gut instinct, don’t carry valuables, and always check in with someone at home regularly. It’s also a good idea to leave a copy of your passport, insurance, visas, and your travel itinerary with someone at home, just in case there is an issue. Always check online to see what is happening in the news too, as this could help you avoid a potential issue. Backpacking is a wonderful and rewarding experience, and it is one which is more than worth the original planning and time consuming itinerary process. Getting it right at this point is what will make your trip as memorable for the right reasons as possible, and if you fail to carry out this step properly, or if you simply think you can ‘wing it’ and go, you will no doubt either experiencing a major difficulty, or you will end up coming home early, because you either ran out of money, or you became so frustrated with the issues you faced that you couldn’t take it any longer. Southeast Asia is one of the most well-trodden backpacking areas for a very good reason, so plan carefully, research the sights, and go where your heart is pulling you, for a truly once in a lifetime, memorable experience.